Pacific Health Service Hutt Valley are a Pacific led provider, driven by the principle 'by Pacific for Pacific'. They provide a range of programmes and services for Pacific people living in the Hutt Valley. Pacific Health Service Hutt Valley asked innovate change to work with Pacific communities in the Hutt Valley to develop principles and actionable ideas that would advance the quality and value of community engagement. This project used the first four stages of the innovate change action model (questioning, understanding, designing and refining). 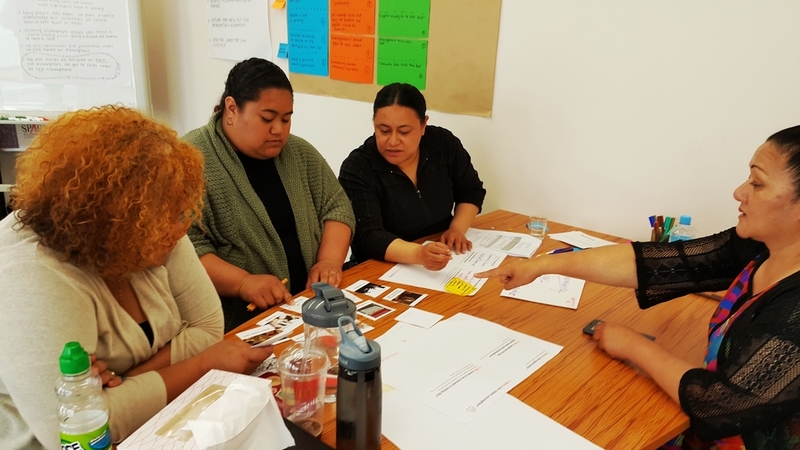 A core component of the process was the co-design group, made up of current and potential service users, community leaders, pacific health professionals and external creative provocateurs. This group were responsible for working together to hatch new ideas, reviewing community feedback on those ideas and subsequently decide on next steps. For this project, innovate change took a sprint-based approach. This involved condensing the project effort in the designing and refining stages into a four-day block. The sprint-based approach rapidly answers critical service delivery questions, encourages less waste by abandoning ideas that don’t work early on, and inspires those who are part of the process to experience a new way (and pace) of working with professionals and communities alike to address pressing unmet social needs. A Pacific Community Engagement Plan. With a detailed plan of action, we’re helping Pacific Health Service Hutt Valley to positively enhance the experiences Pacific communities have with Pacific led programmes and services. In addition, we’re helping Pacific Health Service Hutt Valley to increase the uptake and resonance of the ways they involve Pacific communities in service development and delivery.